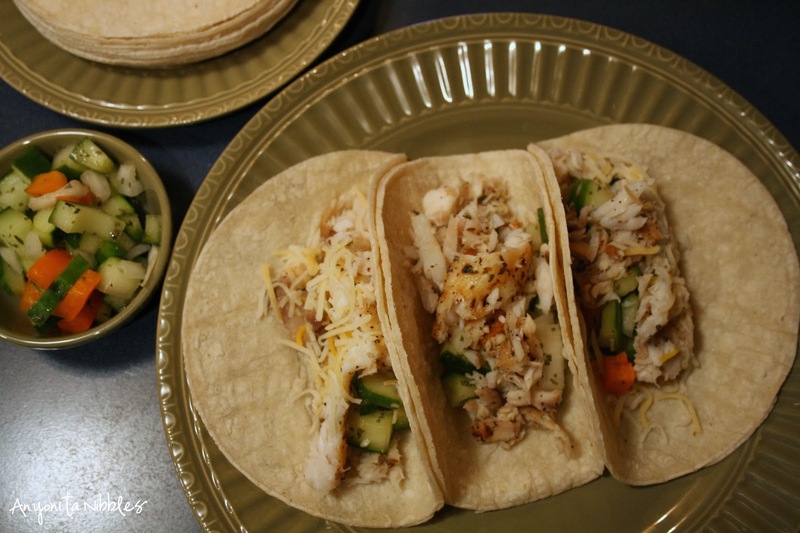 Fish tacos recipe prepared with grilled tilapia and homemade quick pickled salsa for a perfect taste of Baja! Everything about fish tacos has to be fresh. 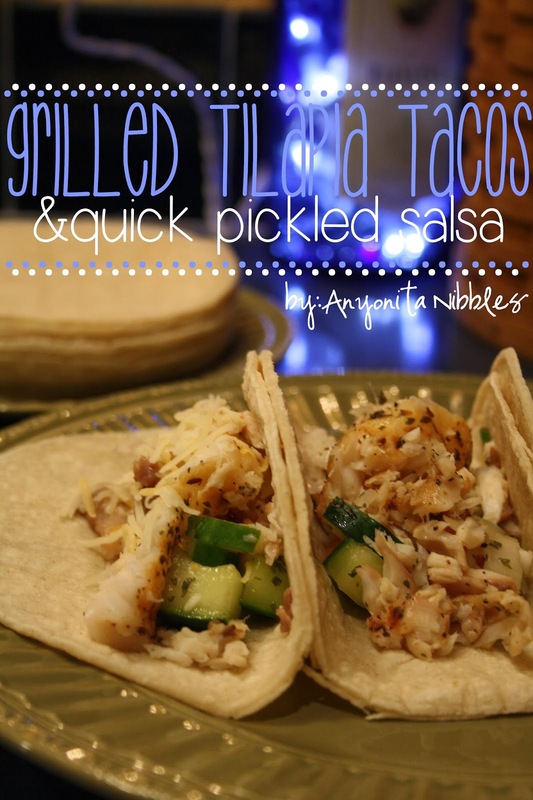 From the chunks of fish to the veggies and the tortillas. 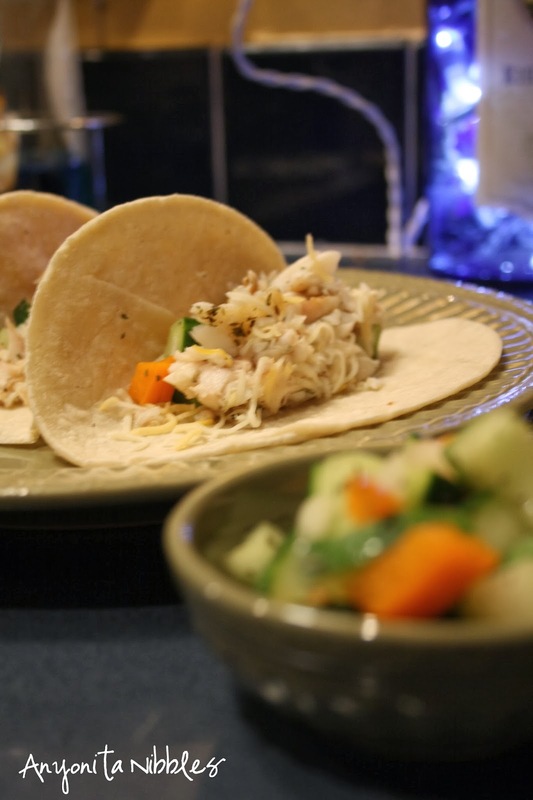 This recipe makes the perfect, Baja-inspired fish tacos! To keep with the freshness, I've swapped the heavy, beer battered fried fish for lemony tilapia, prepared on the grill. I've also replaced the classic avocado and tomato with a quick pickled salsa so you can rustle up this dish in just minutes! 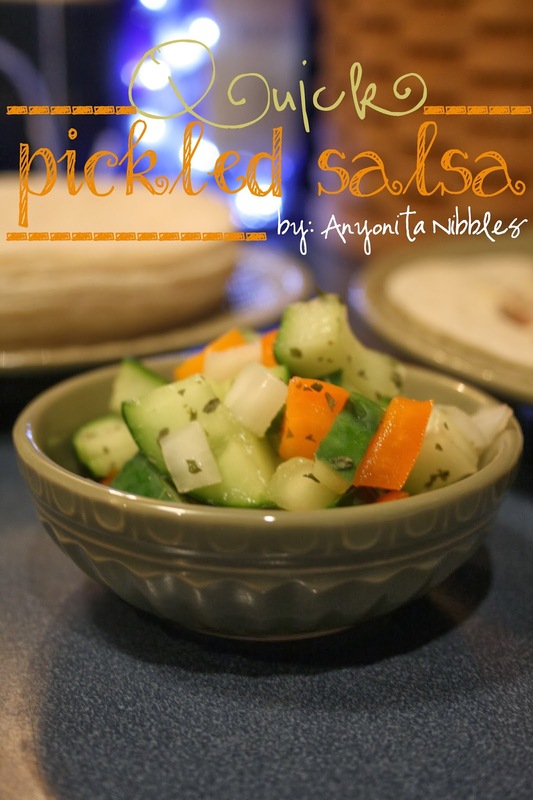 I've been making the pickled salsa in this recipe for years, changing up the ingredients and using different types of vinegars and the result is always the same: it tastes so good. You can add tomatoes, use red onions or sweet onions, use less cucumbers, add chile peppers or sweet corn--anything, really. Any firm flesh fish would do, too--try cod or haddock or even salmon, if you'd like. 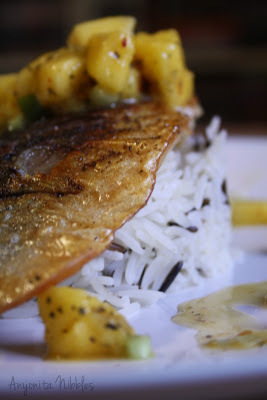 I prefer tilapia, though, because it has a great naturally lemony taste that makes the coriander and the cumin sing. If you find yourself pressed for time, you can make the salsa a day or two beforehand--the longer you leave it to marinate in the fridge, the better it'll taste. 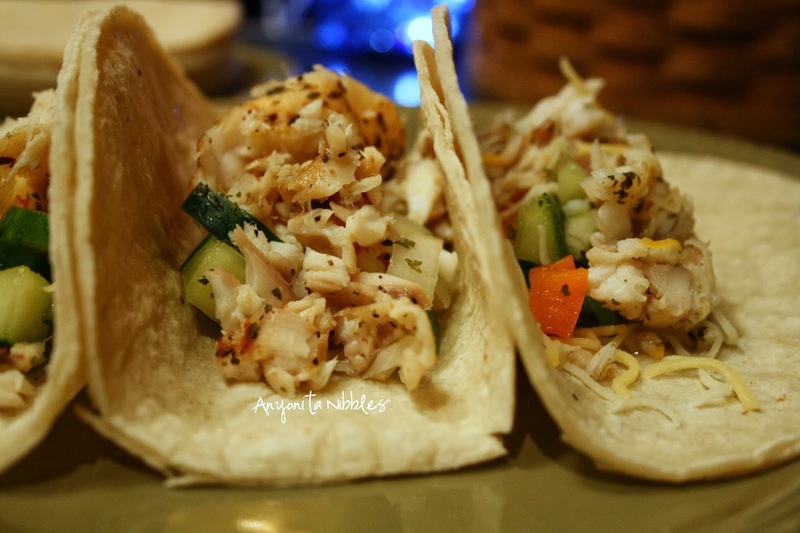 It doesn't really matter what you do to these fish tacos, they always taste delicious. Bring the vinegar, water,sugar and salt to a boil in a saucepan. 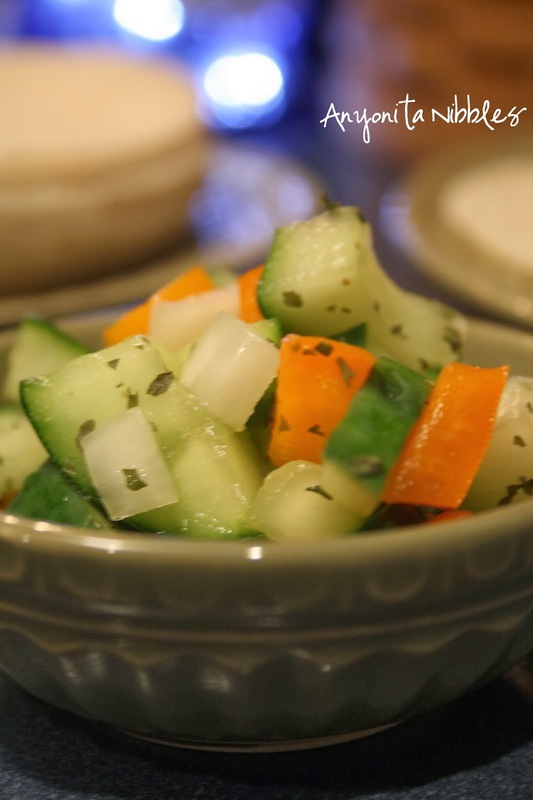 Once boiling, pour mixture over the cucumber, bell pepper and onion. Sprinkle with coriander leaf and refrigerate at least an hour. Before serving, strain well. Season both sides of each fillet with cumin, coriander, salt and pepper. Place each fillet on the grill and cook 3 to 5 minutes or until cooked through. 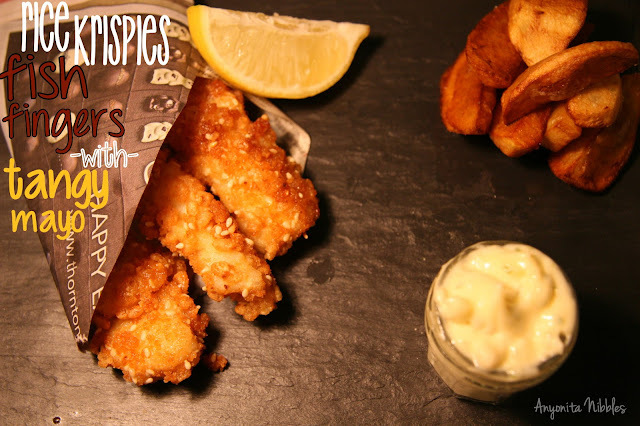 Dab butter over the hot fish, flake and serve with the pickled salsa, cheese and tortillas. #GetHimFed 20 + Welcome our new permanent hosts! #GetHimFed 19: We're back & we have 40 features! 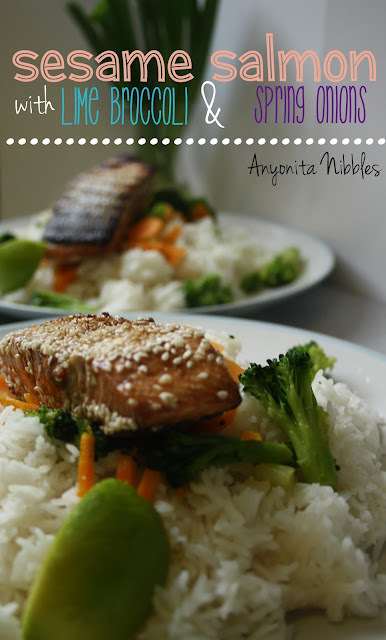 Tasty Tuesdays #43: Welcome to 2014!